Quinta do Passadouro belongs to Dieter Bohrmann since 1991.Until 2003 this quinta was a joint venture between Bohrmann and Dirk Niepoort and supplied grapes to wines from Niepoort. 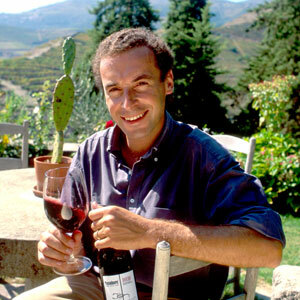 Also Vintage Ports have been declared and today Jorge Borges is the wine maker on the estate. The Quinta do Passadouro dates back to the 18th century and was always famous for its port wines. The location of the domain is in the sub-region of Cima Corgo near the village of Pinhão. The extreme climate, hot during the day but very cold at night, means that the grapes ripen more slowly than in other regions of the Douro giving freshness to the wines. All this results in harvests of the very best quality. Traditionally, the best vintage and late bottled vintage ports came from famous port houses also in this area. As a result of the step inclines made of slate, and the limited width of terraces, the grapes are picked by hand. The winemakers deliberately choose organic agricultural methods and reject the use of any chemicals. It is only in this way that they can ensure a perfect base product for their excellent wines. Quinta do Passadouro belongs to Dieter Bohrmann since 1991. Until 2003 this Quinta was a joint venture between Bohrmann and Dirk Niepoort and supplied grapes to wines from Niepoort. Also, Vintage Ports have been declared, and today Jorge Borges is the winemaker on the estate. Jorge Borges is tried and tested in the winery. In his own family, The wine tradition goes back several generations and also his wife, Sandra Tavares da Silva, is a talented enologist. In the sector, they are currently the dream couple of Portugal. Both work full time as passionate winemakers, but still, find the time for some successful side projects. During his studies at the university, Jorge learned the subtler points of the profession at the Quinta Fojo and the Quinta da Manuela. And when he started working with Dirk van der Niepoort in 1999, they immediately formed one of the most creative, revolutionary and refreshing teams the Douro ever knew. It was the same Dirk van der Niepoort who showed Dieter Bohrmann the way to the Quinta do Passadouro. And who put the domain back on the map together with Dieter thanks to a very successful first own vintage. Between Dieter and Jorge clicked it right away. It was inevitable that the latter would seize the opportunity to do his own thing. Jorge Borges respects valuable traditions but is open to innovation. As a winemaker, he realizes that the cost of traditional treading of the grapes with the feet is enormous compared to the value of modern presses. But for Jorge Borges, you can only produce that unique, soft style of wine, with maximum extraction of taste without breaking the seeds, which would release their bitterness. As the son of the Douro, he knows like no other the ' tannin ' character of the many indigenous grape varieties. And how carefully he has to deal with it to produce a balanced wine. Ripeness and acidity of the grapes are crucial. He will not hesitate, if necessary, to sacrifice two-thirds of the grapes to ensure an optimal skin-to-juice ratio at the time of harvest. Quality is at Borges far above quantity.